You are currently viewing all posts tagged with spain. 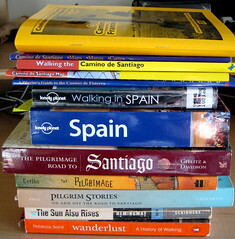 Tomorrow, I will be in Spain. I fly into Madrid, from where I’ll make a quick jump over the border to St-Jean-Pied-de-Port in France. There, my pilgrimage begins. I walk west, over the Pyrenees, and reenter Spain. After my feet carry me roughly 500 miles from the Basque lands to Galicia, the journey culminates at Finis Terrae, the End of the World. As usual, I don’t speak the language and am embarking alone with limited funds. Internet access will be sparse, if it all. This post was published on 2008-06-17 . It was modified on 2012-09-15 . 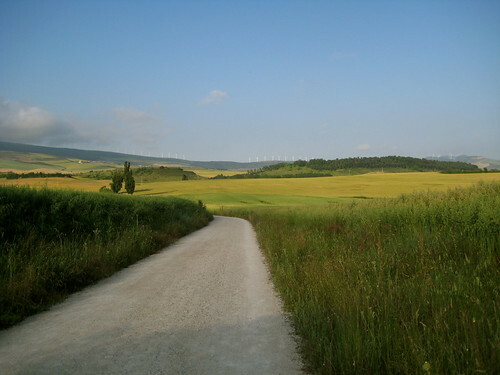 It was tagged with camino de santiago, quote, the road, spain, france.